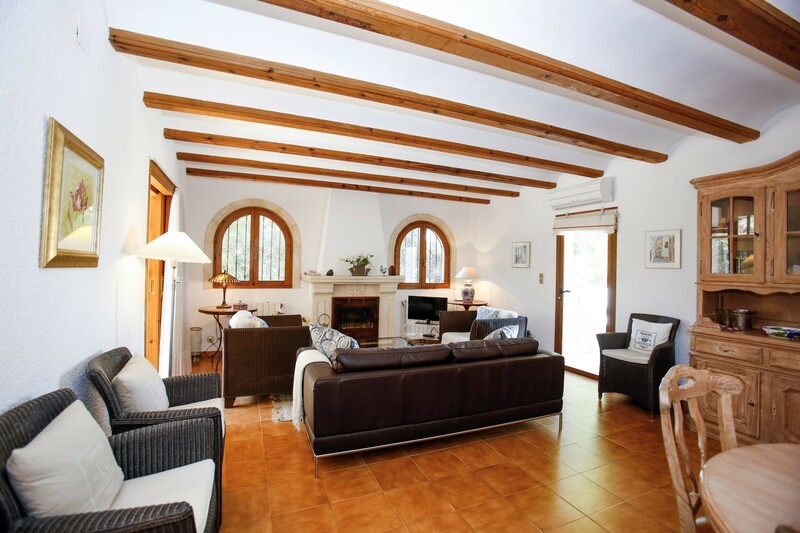 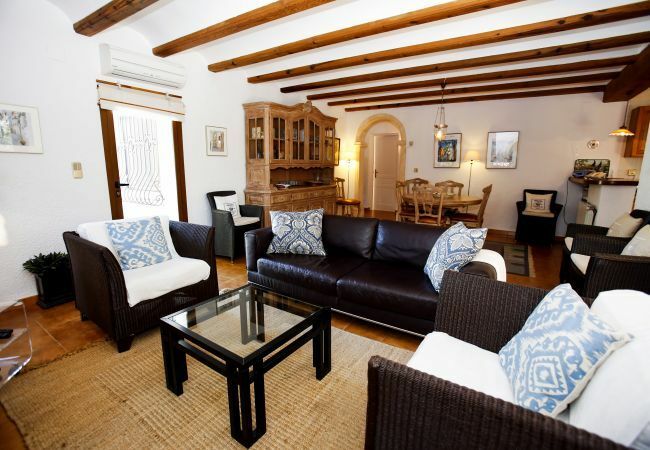 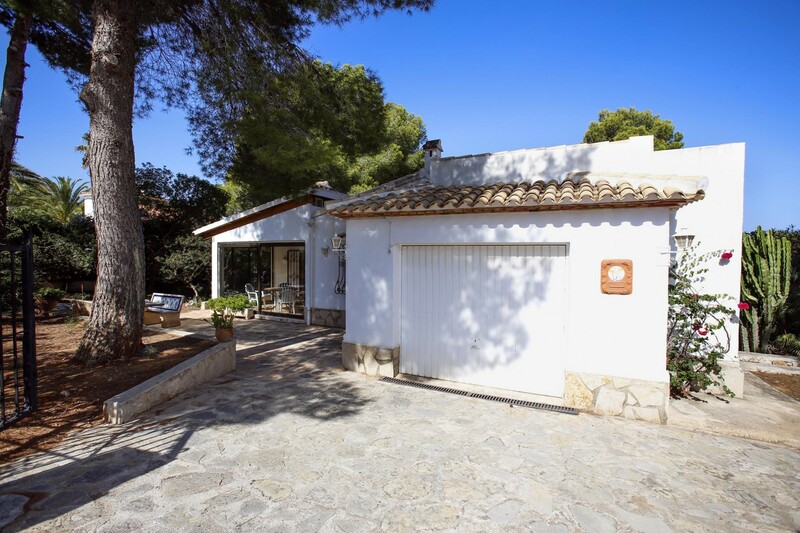 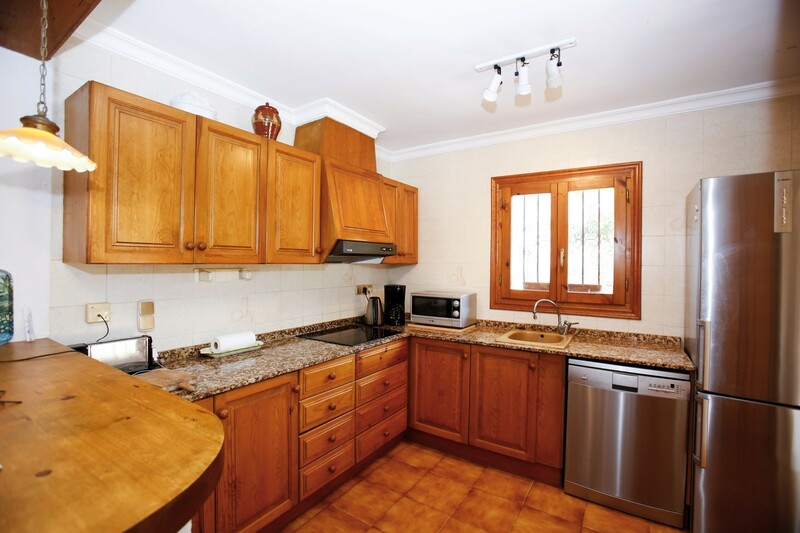 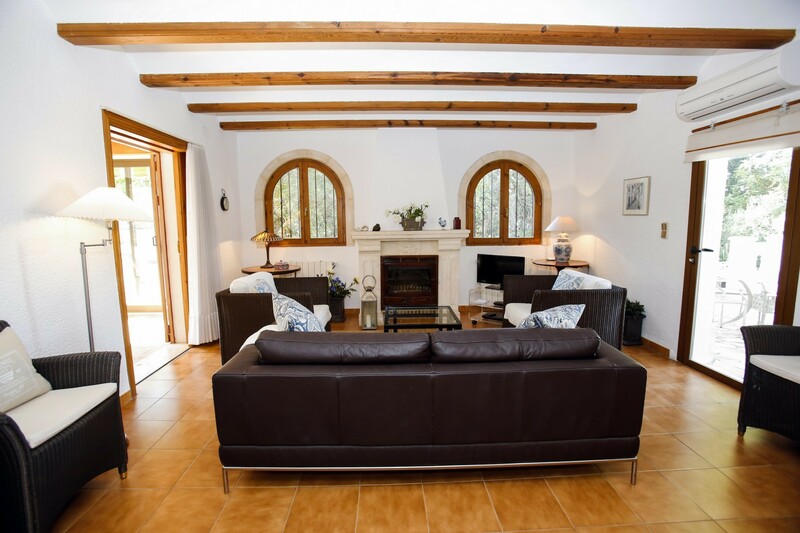 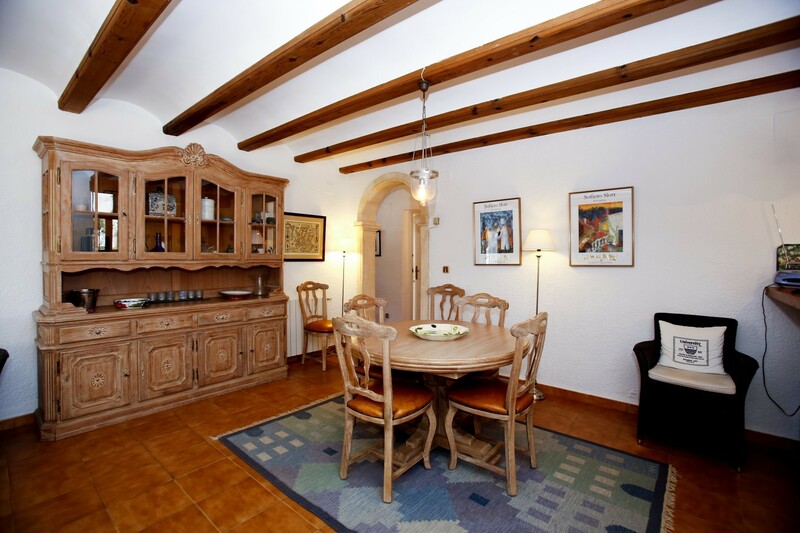 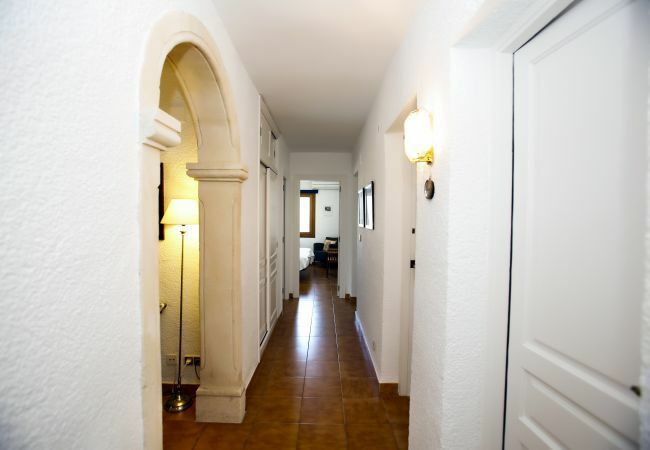 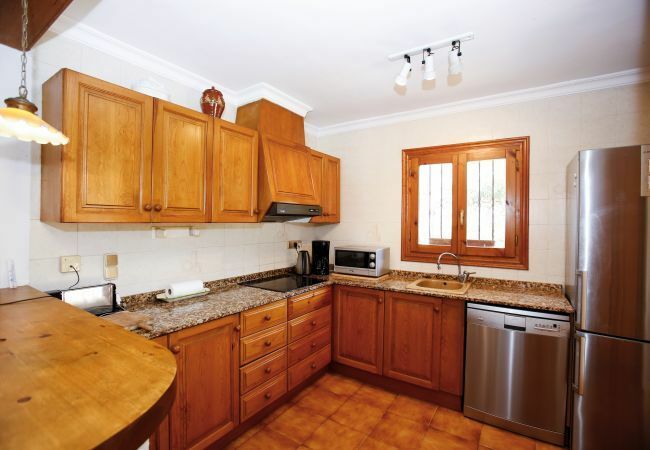 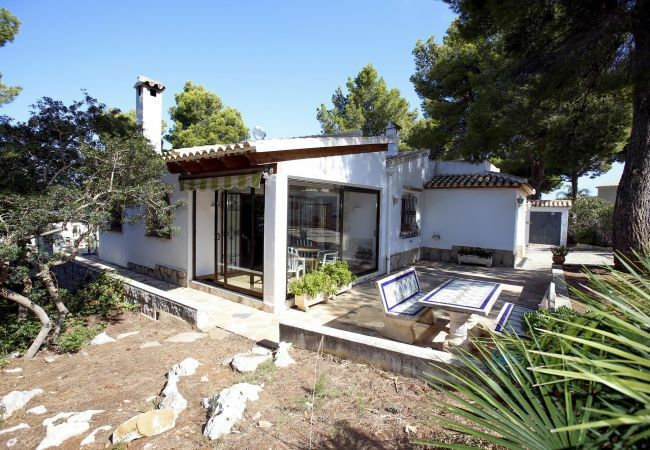 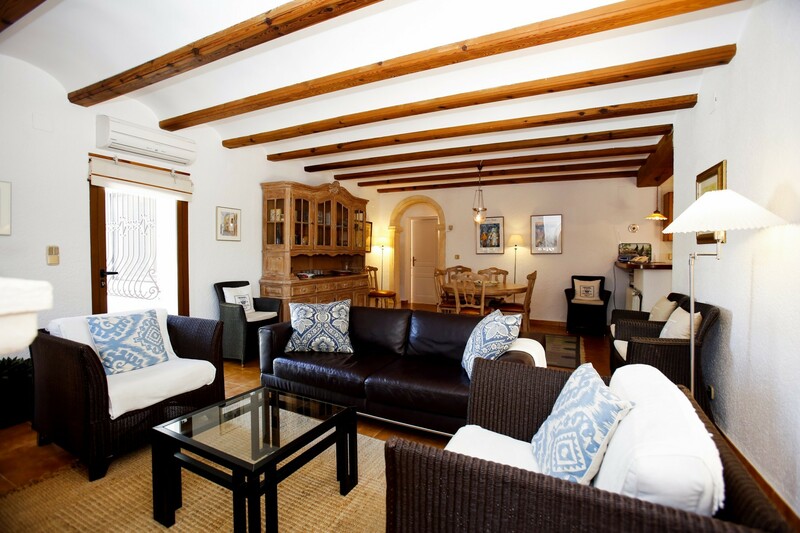 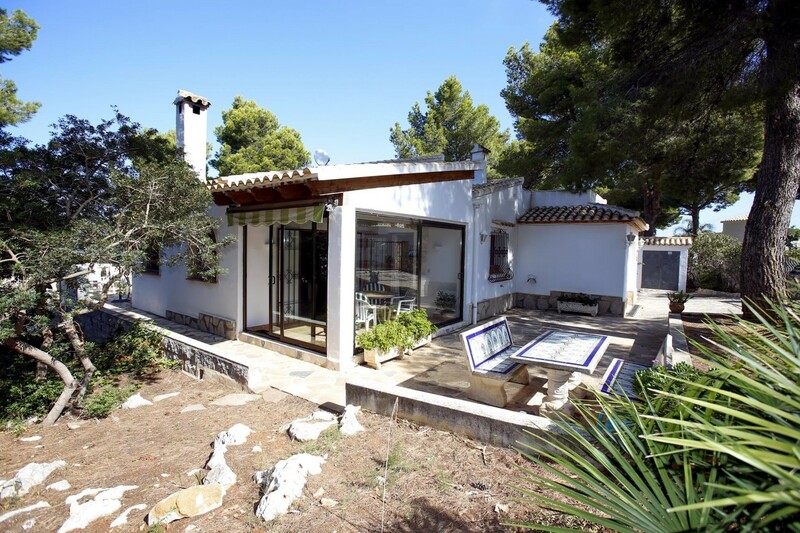 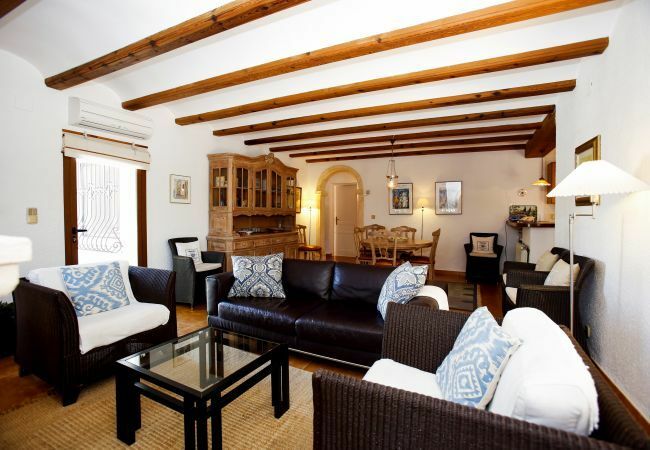 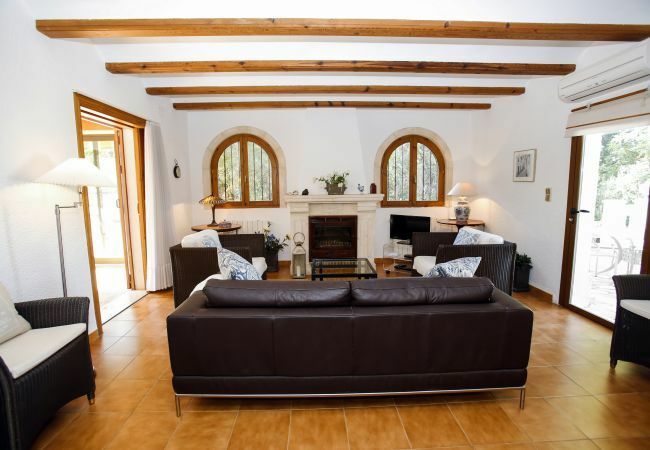 The villa Pinos in Denia has 3 bedrooms and a capacity for 6 people. It is a comfortable and sunny house with 120 m² of space with views to the sea and to the mountain. 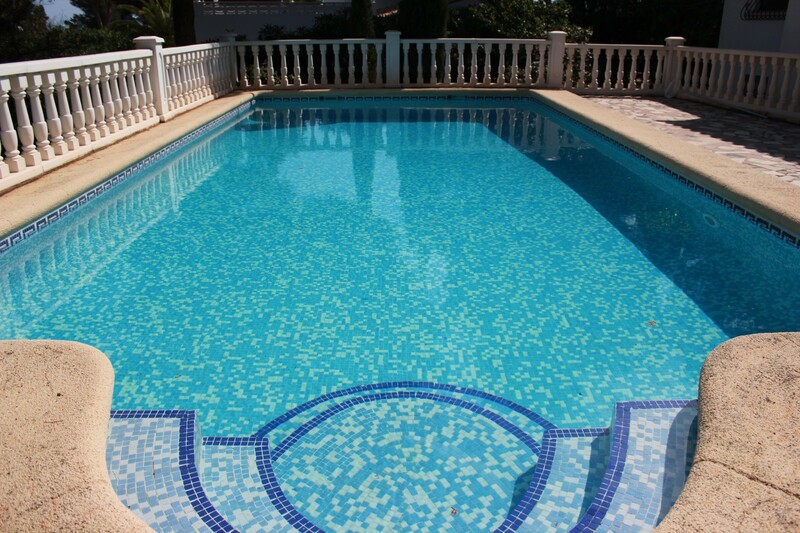 You can enjoy its large private pool and the shadow of the pine trees. 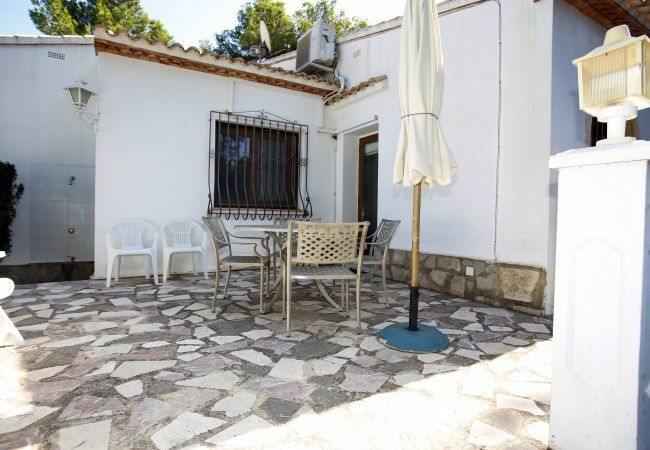 It is located 3.50 km from the rock beach "Las Rotas", 3.50 km from Denia city, 3.50 km from the supermarket, 4 km from the sand beach "Las Marinas", 50 km from the amusement park, 50 km from the water park and 100 km from the airport. 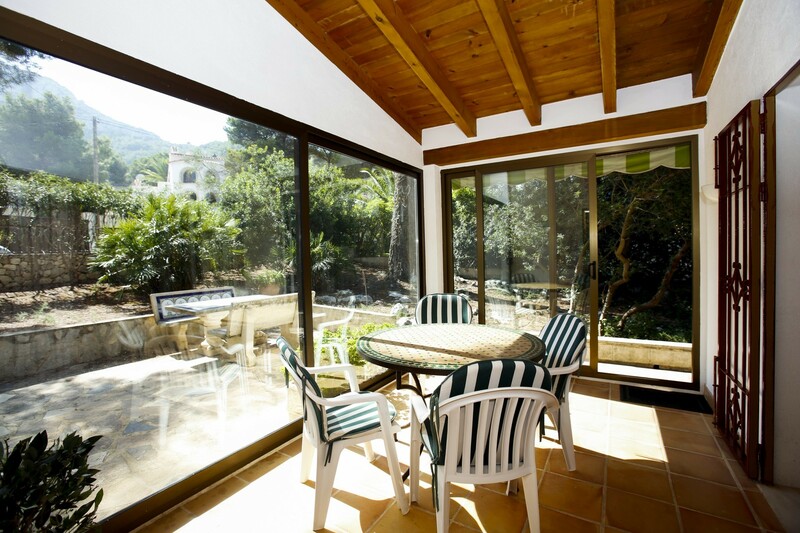 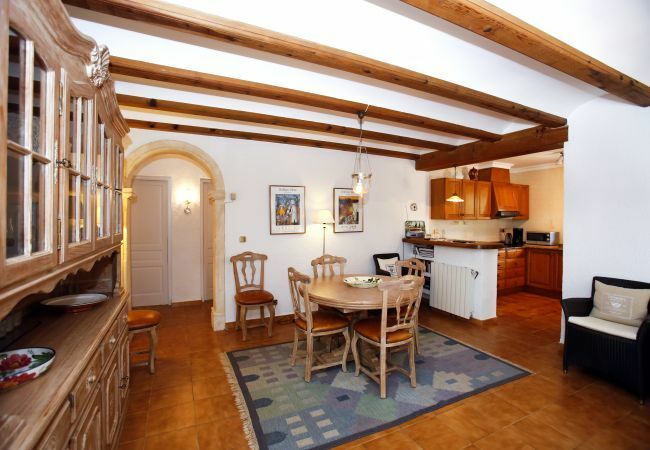 The house is situated in a quiet neighborhood and on the slopes of the mount Montgo. 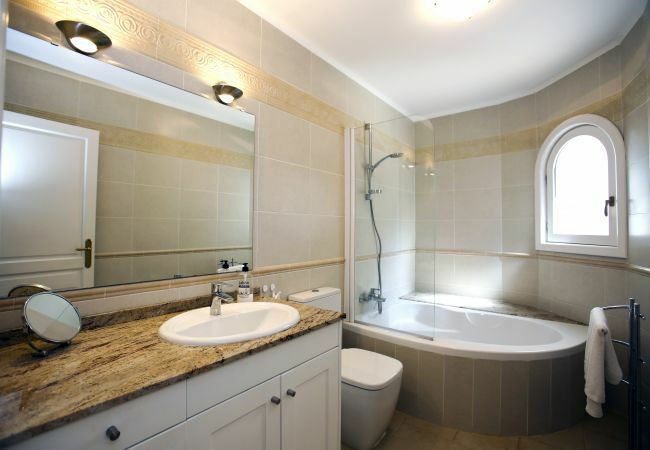 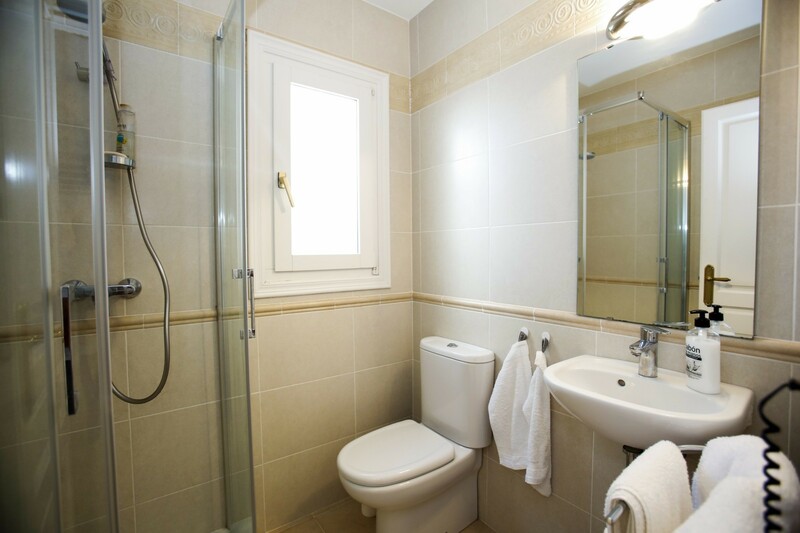 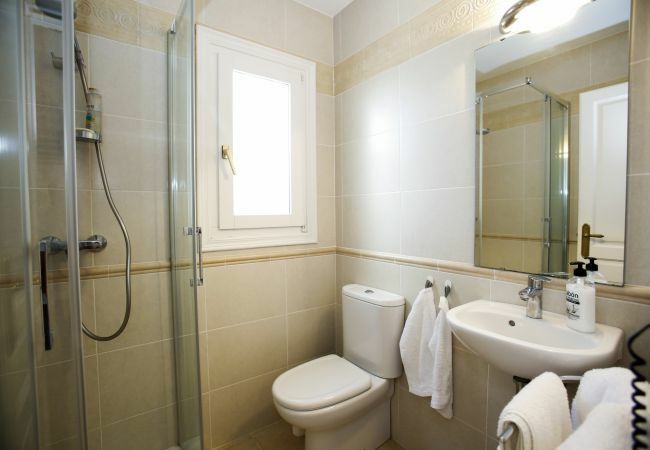 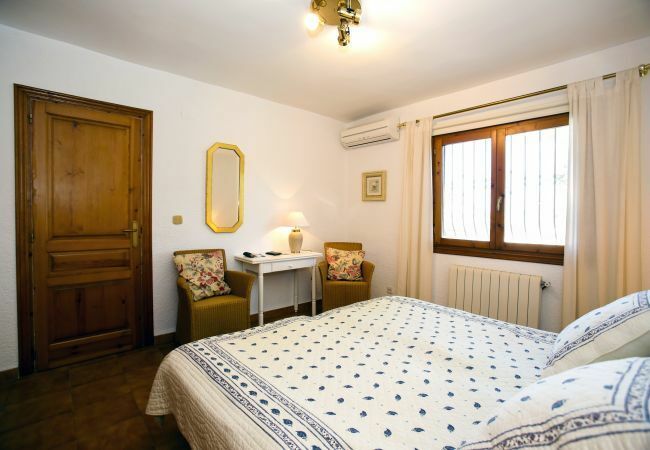 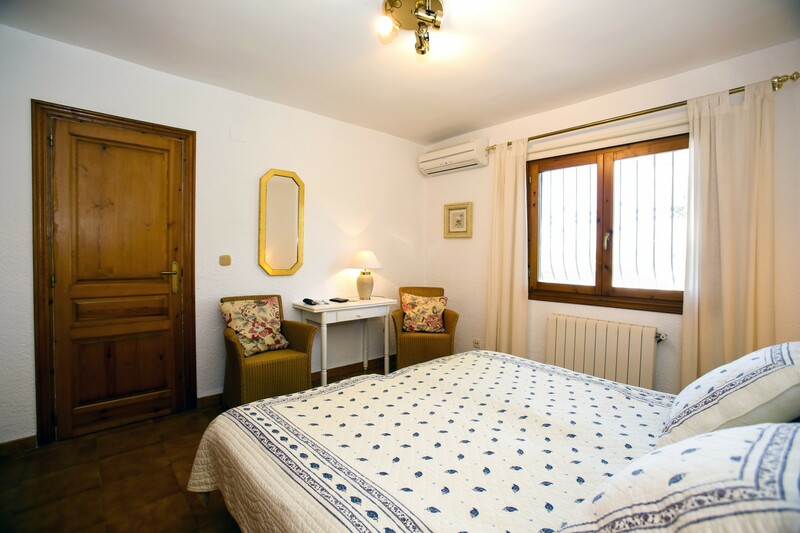 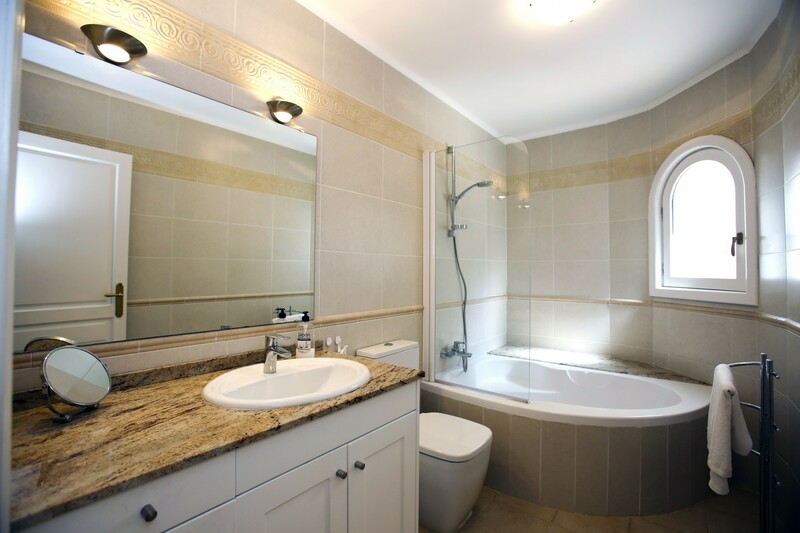 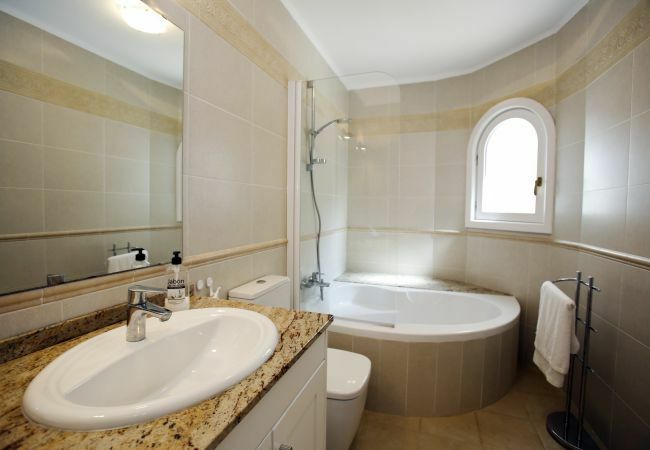 The accommodation is equipped with the following facilities: a garden with garden furniture, a plot fenced, terraces, a private swimming pool, a garage in the same building and air conditioning. 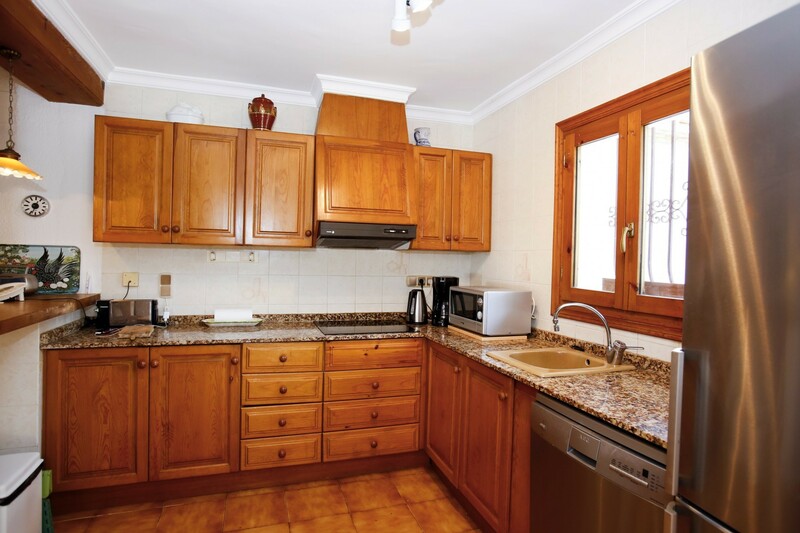 The open plan kitchen, in ceramic hob, is equipped with: a refrigerator, a microwave, a frezer, a washing machine, a dishwasher, dishes/cutlery, kitchen utensils, a coffee machine, a toaster and a juicer. 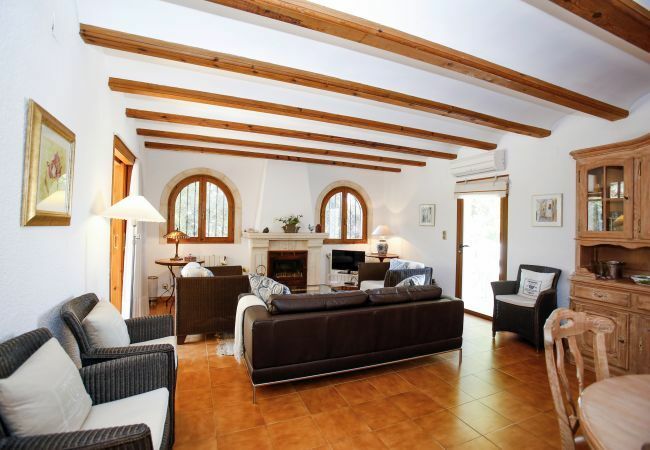 Denia has a lot to offer. 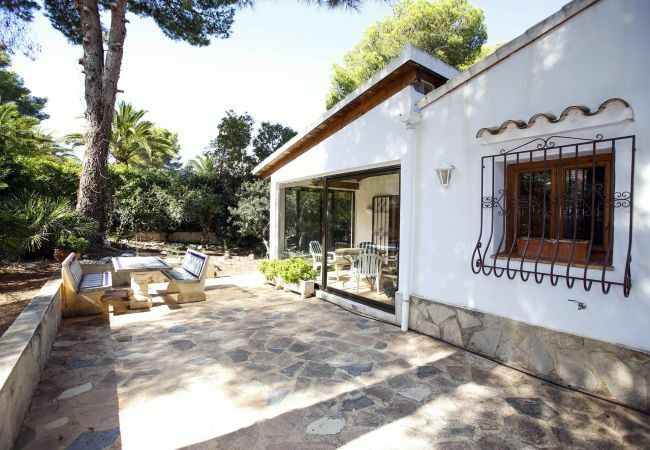 It is located 100 km from Valencia and Alicante and from here you can discover the Costa Blanca and sail to Ibiza or you can enjoy Benidorm´s theme parks. 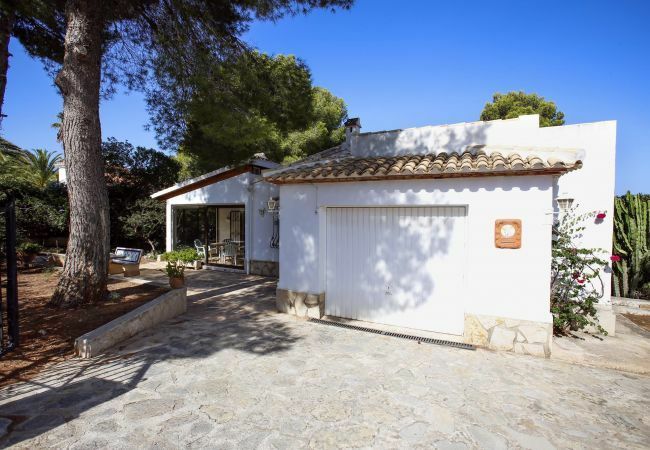 This is the ideal place to discover this part of Spain, like its coast as well as its beautiful inland valleys with fields of orange groves and almond trees, and also its mountains landscapes and its villages. 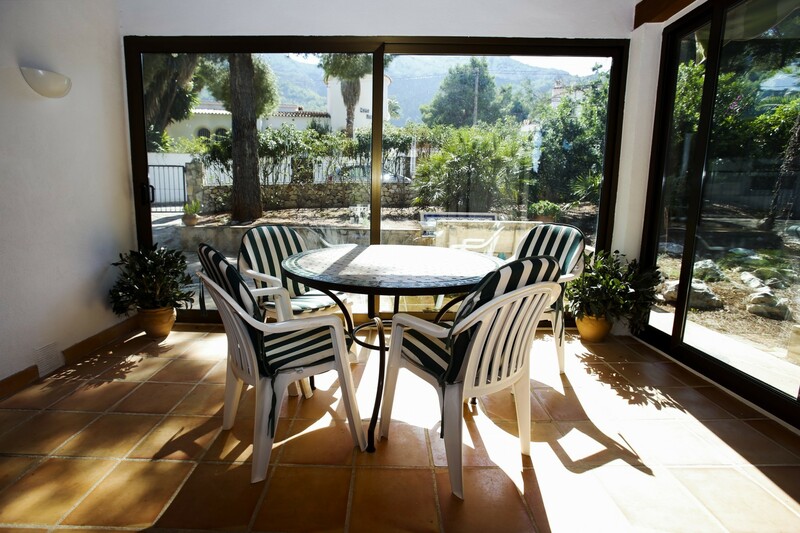 Denia offers 20 km of coast with quiet waters that invite you for a swim or for a dive, it also offers sand and rock beaches, with rock coves, many of them with Blue Flags of the clean Seas of Europe. 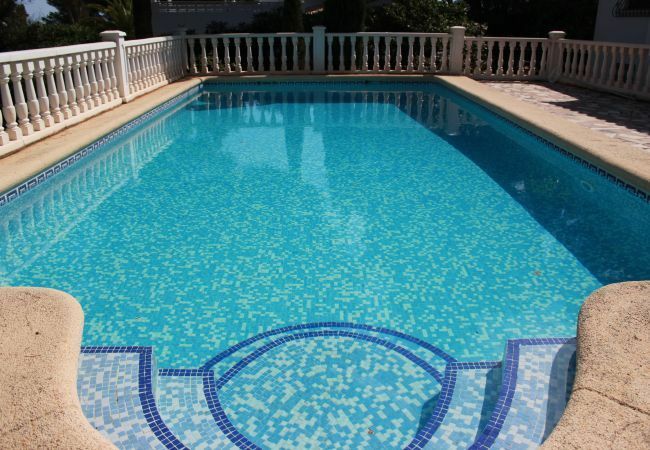 Denia is one of the best place in Spain to practice many nautical sports like windsurf, diving, sailing, and more other sports like golf and tennis. Denia offers many possibilities like shopping or going to “La lonja”, the typical fishers market place, or visiting the castle or walking in the prestigious area of the Montgo Natural Park with fantastic views to the coast. 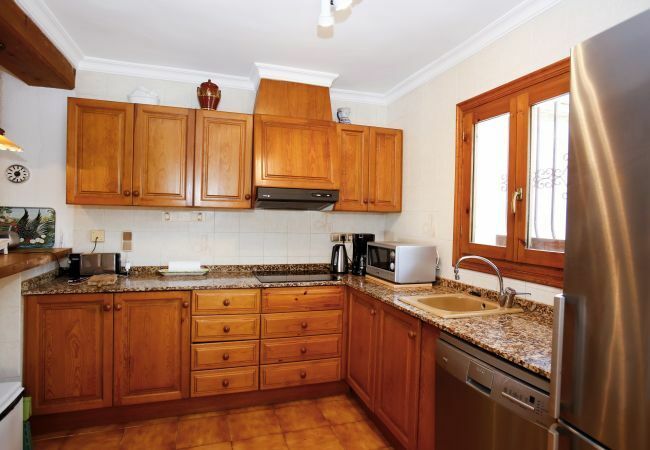 Denia is a gastronomical city and you will find a typical Mediterranean cuisine made with healthy and fresh ingredients from this area, like tapas and different ways to prepare rice like the famous “paella”. 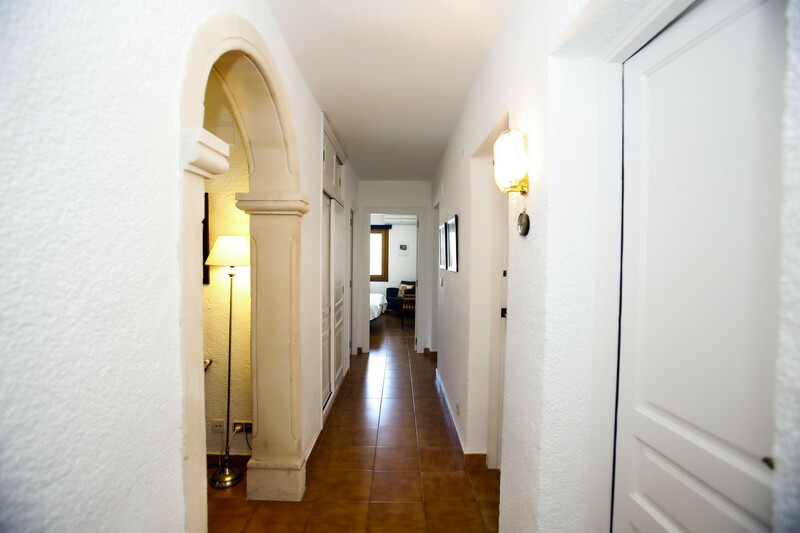 To achieve unforgettable holidays you can enjoy the animated nightlife, or discover the Spanish way of celebrating life going from one fiesta to another. 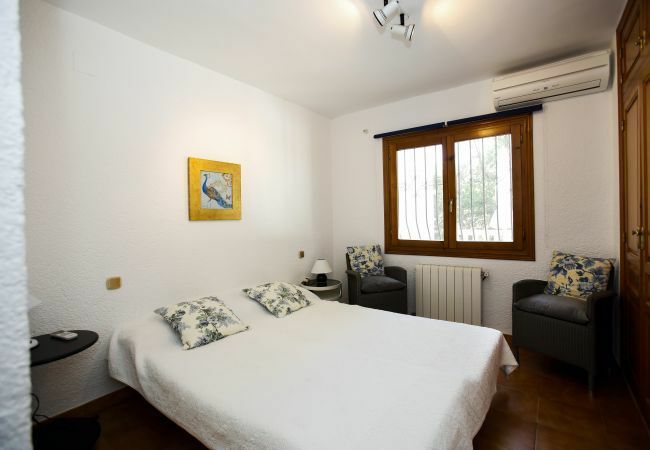 - 6 Single beds, 1 Extra bed. 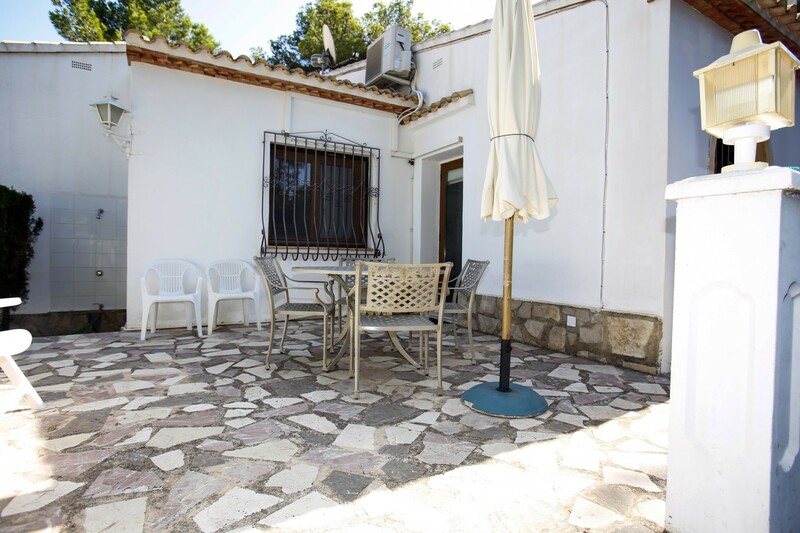 - TV, garden, garden furniture, fenced garden, terrace, fireplace, iron, internet (Wi-Fi), 120 m² property, 800 m² plot, pet-friendly (Dangerous breed dogs not allowed), air-conditioned, private swimming pool (dimensions 9x4, opening date 1/1, closing date 31/12), Garage in the same building.